Located in southern England just under a hundred miles west of London, Chippenham is a historic market town in Wiltshire. With a population of around 45,000, there’s a good selection of housing in the area which ranges from reasonably priced terraces to spacious detached family homes. At My Home Move Conveyancing we’ve been developing our knowledge and expertise of Chippenham’s property market since 2001, enabling us to bring our clients in the area a specialist, fixed fee conveyancing service that’s like no other. If you’re thinking of buying or selling property in Chippenham, you’ll need to instruct property lawyers to complete the legal work on your behalf. 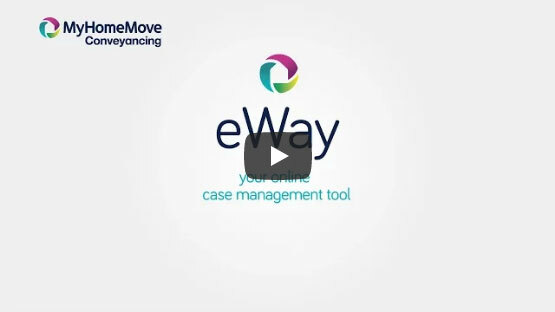 My Home Move Conveyancing can offer you award winning customer service, innovative use of technology and intimate knowledge of the local market. Our professional service comes for a fixed fee, so you’ll know exactly how much you’re going to pay from the beginning, with no hidden extra costs to worry about when we act as your Chippenham conveyancers. What’s more, you won’t need to pay us anything if you don’t end up moving. We’ll simplify the legal process for you and keep you informed with clear, easy to understand communication. You’ll be assigned a dedicated conveyancer who’ll look after your case from start to finish, providing regular updates on your progress. At My Home Move Conveyancing we’re proud to have supplied our conveyancing services in Chippenham to homebuyers in the town centre and in neighbourhoods such as Rowden Hill, Frogwell and Cepen Park North. The average house price in Wiltshire is £265,524, while the overall average sale price over the past year in Chippenham was a bit lower than this at £246,101. Most sales involved terraces which went for an average of £198,529, while detached properties fetched £337,110 and flats £221,251. The settlement that is now Chippenham was formed on a crossing of the River Avon, and is thought to have existed before Roman times. The railways arrived in 1841, which brought more growth to the town and began its tradition as a commuter town. Chippenham has plenty of modern amenities, but a large proportion of its inhabitants work in places such as Bristol and Swindon. Both of these larger neighbours can be reached in around half an hour by car, while it’s a similar journey to Bristol by train. Rail services to Swindon take half the amount of time, while it’s around an hour and 15 minutes to get to London. The M4 motorway passes to the north of Chippenham, providing access to Bristol and South Wales in the west, and Reading and London to the east. There are plenty of good schools in Chippenham for families with children to consider, including St. Mary’s, Queen’s Crescent and Frogwell at primary level. Older children have the choice of three secondary schools, Hardenhuish School, Sheldon School and Abbeyfield School on Stanley Lane, which has specialist status as a Business and Enterprise College. For higher education, the nearest university is the Bath campus at Claverton Down, just over ten miles west of Chippenham. All properties in Chippenham will fall within one of the following council tax bands.